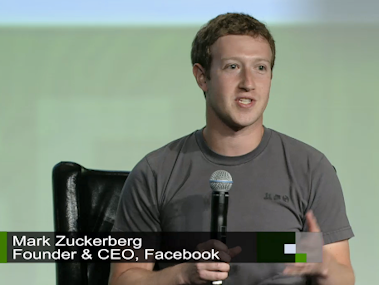 Mark Zuckerberg last night made his first public appearance since his company’s controversial IPO listing. Fortunately for everyone present at TechCrunch’s Disrupt conference, he was upfront in the discussions, from Facebook’s public listing all the way to the company’s strategy moving forward. First off, Zuckerberg addressed the white elephant by admitting that Facebook’s stock performance “has obviously been disappointing”, but maintained that this is not the “first up and down that (they) ever had”. Facebook initially listed at an opening price of $38, and as of yesterday, was being traded at only half the price, at $19.43. He also admitted that this had affected morale among the company employees, adding that while some may leave, “it is a great time for people to join and also for people to stay and double down”. Next up, he also addressed the mistake of adopting full-on with HTML5 with Facebook’s mobile apps for Android and iOS, instead of going native, admitting that it was the company’s “biggest mistake to date”. They’ve since began to develop native apps, with the iOS Facebook app rebuilt from the ground up, increasing performance by up to 50%. Thankfully, Android users will be getting the same native treatment, however Zuckerberg refused to set a date on its release. Finally, he reiterates his stance that “mobile is everything” in terms of ad revenue, and plans to introduce ads in the news feed. He added that mobile ad revenue will surpass that of desktops in the future, and the company is already making headway into making it happen.